Our ability to entrust more complex functions to machines has brought a paradigm change in enterprise management and business solutions. 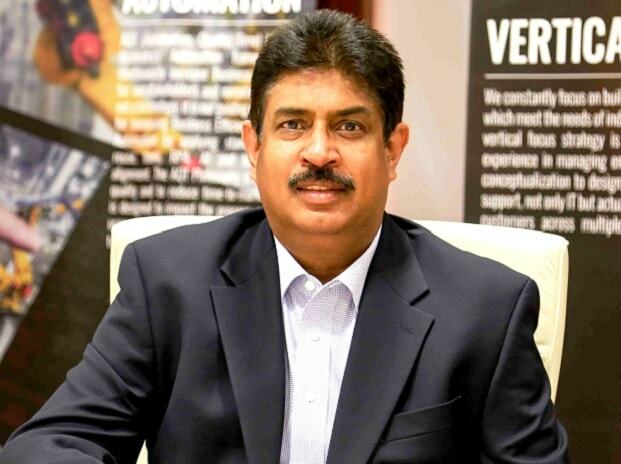 How Tech Mahindra positioned itself to handle these new technology scenarios? As newer, more complex tasks need to be done you need to have the skills to programme those devices and machines because on their own they are of no consequences. This becomes especially important when new sources coming in like AI, IoT as they add new dimensions. It’s almost like a non-living becoming a living. There are skills that are evolving around that and so obviously we are investing very extensively in terms of getting to be a leader in that space. The second part is that traditionally you may be doing those things and processes very differently and that could have been more manpower intensive and it may have also used some older tools, which are going to become less useful in the context of this change. As a consequence, you need to provide an opportunity to people that they can migrate into new reality and new realms. As a firm we are giving opportunities for people across the board to become the expert on the one end or to migrate on the other end and to actually look at the third line option of going to a different vertical that is not moving very fast. Cross move, cross skill or become an expert in a new skill. Could you give a specific example on how this transition is being handled by both the company as well the tech associates working for the company? We work with SAP very closely on one of their skill sets called Fiori. There is no such thing as a ten-year old Fiori expert because the whole technology is fairly new, where it gives a different way in which old data can be presented and how customers can interact with traditional data. Traditional data is there but at the front end, it’s all changing to Fiori. Whoever picks up Fiori can now become part of building customer experience and whoever does not pick up Fiori will no longer be part of customer experience. They can still continue in the back-end and or they can say, ‘ok, I will build experience in a non-Fiori environment’. So, opportunities exist. Just saying that I will only continue to do the same thing.. that may not be possible….